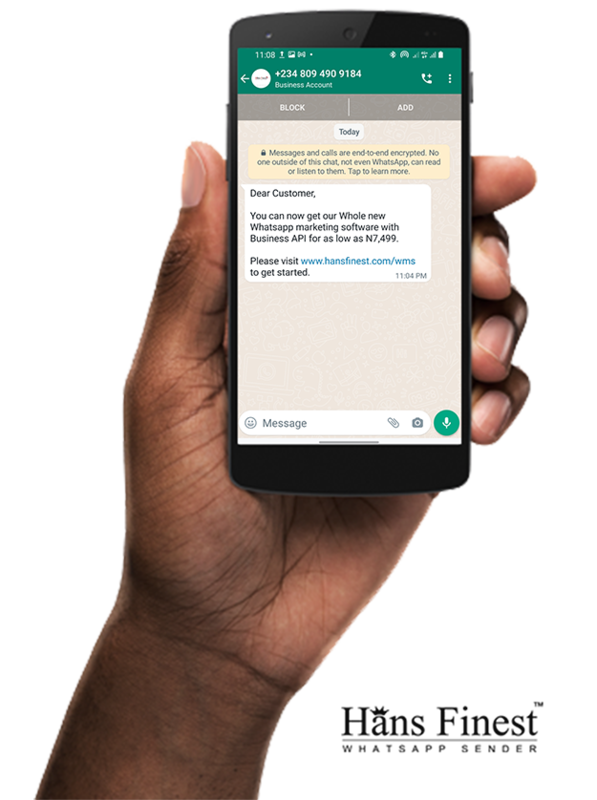 Message only matters if it's delivered, Try our simple whatsapp marketing solution that allows you send messages to whatsapp users without limit, wether you're broadcasting to 500 or 500,000+ audience, our software got you covered without worries of deliverability, fast. No matter what you do or size of your business, Whatsapp marketing remains the best and most effective ways to reach your target audience for free. WhatsApp Marketing is been used by many businesses(small or medium) to boost their sales and connect with their audience, it's a must-have tool for Every Business, sales department, Entrepreneur or business owner that want to make more sales and increase ROI faster and cheaper. 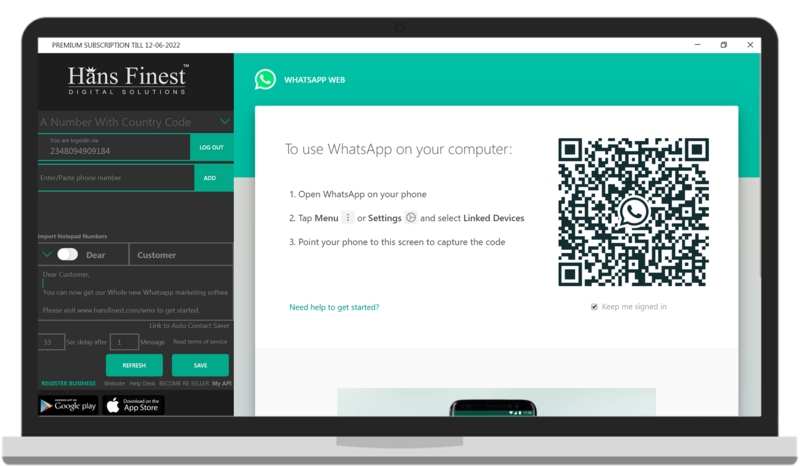 Whether you have an offer, sales, news, event, promo, announcement or updates, the ultimate WhatsApp marketing software allows you to send up to 1000 WhatsApp messages/minute at once to WhatsApp users and support all multimedia formats, it guarantees result faster than email, SMS or any other marketing. It has never been easier, faster and cheaper to launch your own WhatsApp Marketing campaigns. Sending personalized whatsapp messages (with multimedia) manually to a larger audience(more than whatsapp 256 bc list) would be much more complicated. But not anymore, now with our Software, you can send automated messages in few Simple steps. Install the software on your PC, Add an account ( Sender Phone Number) and import your list of clients or contacts. Add your message, you can also attach image or videos, audios or documents(at once) configure and personalize your message, Start Sending without any type of limit. Pop up for a chat using the chat button. *Commitment to the non-disclosure of customer information. *Even if you format your pc, same Harware ID will appear again so you can put your same license. Note "The software or software developer, products and services offered on this site are not associated, affiliated, endorsed, or sponsored by WhatsApp, nor have they been reviewed or certified by WhatsApp. WhatsApp is registered trademark of WhatsApp Inc. You must follow WhatsApp's terms & condition while sending messages through this software. Hans Finest Digital Solutions is a full-service Design and Technology Agency, we specialize in Website Design & Development, Branding, MLM Softwares, Data Analytics, Virtual Phone Numbers and Digital Marketing.